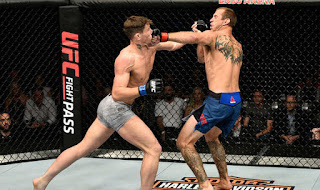 The main event of UFC Fight Night 130, which takes place Sunday at Echo Arena in Liverpool, England, is a terrific fight between Darren Till and Stephen "Wonderboy" Thompson that is as good as it gets when it comes to the UFC's welterweight division. 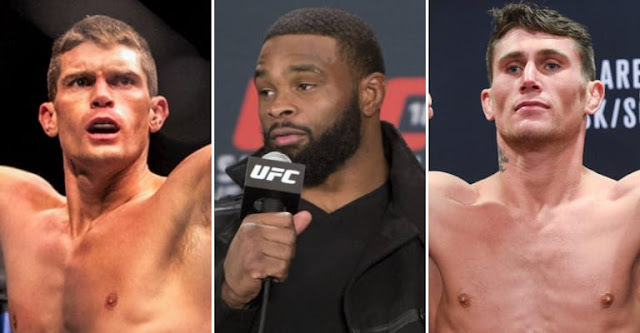 Till and Thompson are two of the very best strikers in the division, and with Till coming off of a knockout win over Donald Cerrone and Thompson beating Jorge Masvidal in his last fight, it only made sense to match up these two standup artists and see who the best man is, regardless of the fact that "Wonderboy" is ranked higher in the division. We've already seen Thompson rise up the welterweight ranks, and he got two shots at winning the belt from UFC Welterweight Champion Tyron Woodley, but he suffered two controversial decisions that went against him, first fighting to a draw and then losing the rematch via split decision. We know "Wonderboy" is a tremendous fighter with an incredible striking attack to go along with solid takedown defense, and the fact that the only man to beat him in six years is the champ Woodley says a lot about him. 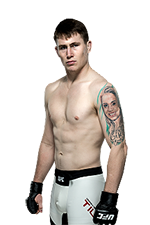 If Till can go out there and beat Thompson, that would say a lot about him, and would likely make him the next #1 contender in the eyes of many. But that's a big if. 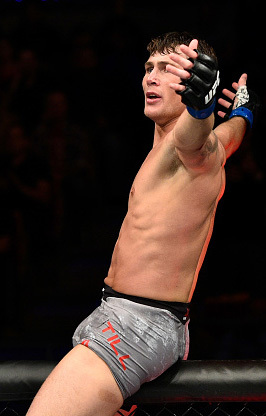 Till, for as much as hype as he has, has been inconsistent with his performances in the Octagon, and Thompson is a major step up from the guys Till has been fighting. No doubt Till looked amazing against Cerrone in his last fight, but he sure didn't look good in the three fights he had before that, when he won mediocre decisions over Bojan Velickovic and Jessin Ayari and drew with Nicolas Dalby. The fight with Cerrone showed just how much potential he has when he puts everything together, but at the same time there's no doubt Thompson is a massive step up in competition, and he's the betting favorite for a reason. With that being said, if Till beats Thompson it would be hard to deny him any longer, and with a win over Thompson on home soil in England -- especially if it's in impressive fashion -- Till could emerge as a massive star for the UFC at a time when the promotion needs a new face of MMA in England due to Michael Bisping's impending retirement. Again, those are big ifs for Till, but for the UFC the potential reward if Till wins is worth the risk of having him lose. That's why the matchmakers decided to take the chance of booking this fight. This is going to be a great fight, and it won't be easy for Darren Till to win, but it's not out of the realm of possibility. And if that does happen, the UFC will have a new star on its hands. Till is a guy who talks a big game and when he goes out there against a guy like Cerrone and finishes him the way he did, he backs it up. So we know there's some potential there. If he can do the same thing to Thompson, he could very well jump ahead of guys like Colby Covington and Kamaru Usman and earn a welterweight title shot first. The UFC is desperate for stars, and Till has the potential to be one, so this weekend we'll find out just what he's made of if he can take out "Wonderboy" in what has the potential to be one of the most exciting standup fights of the year.